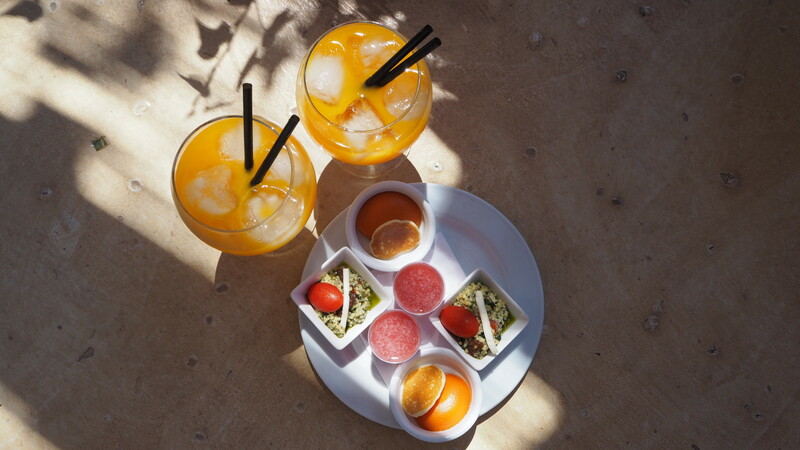 Instagram heaven is right here – Hacienda Na Xamena in Ibiza. I am not exaggerating right? Planning to go to Ibiza next year? 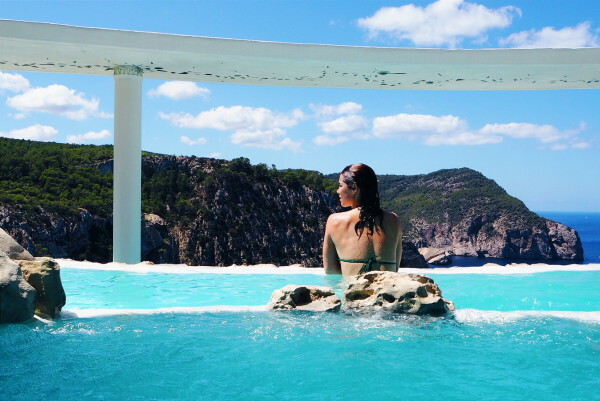 I visited this magical place in the North of Ibiza » It’s a hotel, restaurant & spa that is perched on a cliff edge 180 meters above the sea, surrounded by an idyllic Mediterranean pine forest where I’ve spent the first day of my holiday. Na Xamena Hotel Hacienda has the best view of Ibiza. 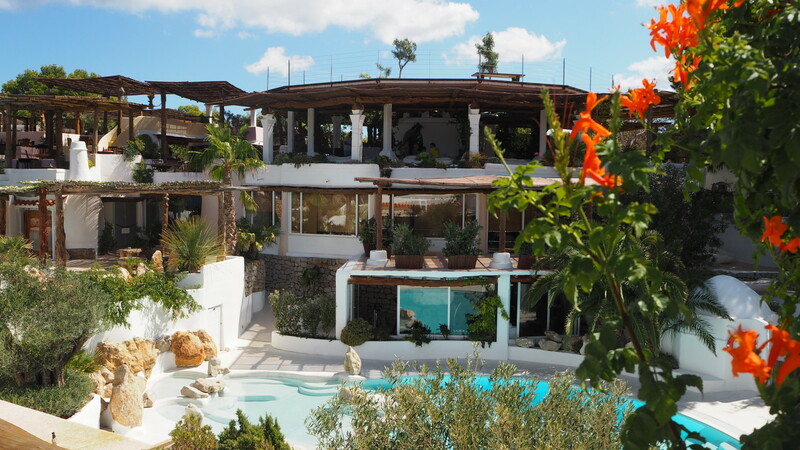 Hidden on the North side of the island in a nature reserve and a 10 minutes drive from Sant Miquel, you will find this five star hotel from the seventies that is built by the Belgian architect Daniel Lipszyc. I was invited by La Posidonia, the SPA- named after the protected seaweed that grows around Ibiza – of Hacienda where they offer a wide range of body and facial treatments and spa rituals. I received a private tour where they showed me the package deal for their guests. 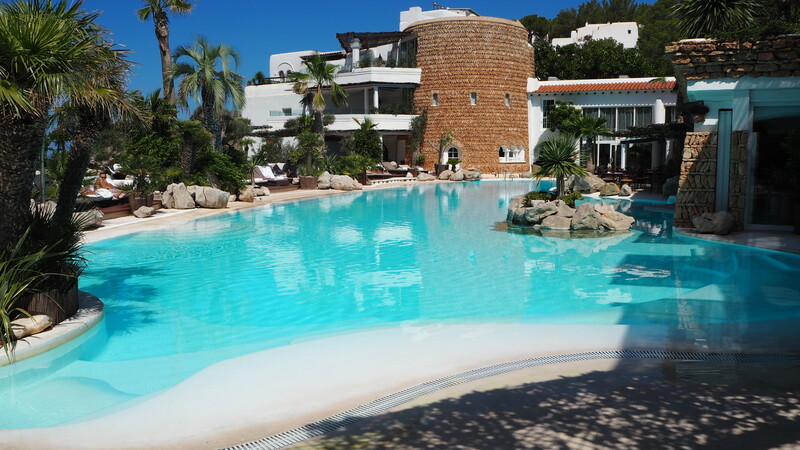 I was very impressed by the sun terrace, restaurant, swimming pools and sunbeds. 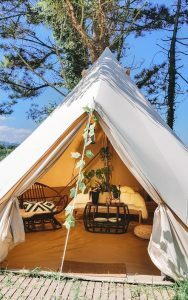 The perfect place to recharge your batteries, but it comes with a price – from 400 euro per night. *This is without any treatments of the SPA. After my tour I took my first treatment – Silky Skin (body scrub with sea salt and aromatic oils). I recommend everyone to scrub your body before your holidays to prepare your skin for tanning. It’s as important as protecting it when exposing yourself to the sun! Then I experienced the “Cascadas Suspendidas – a 45 min hydrotherapy treatment in 8 heated pools at different temperatures that give hydro-jet massages whilst enjoying the view. The Cascadas Suspendas – 45 min access to the 8 pools, including some snacks – will costs you 55 euro. Pool 7 and 8 are the best since you will have this breathtaking view when enjoying this warm bath. 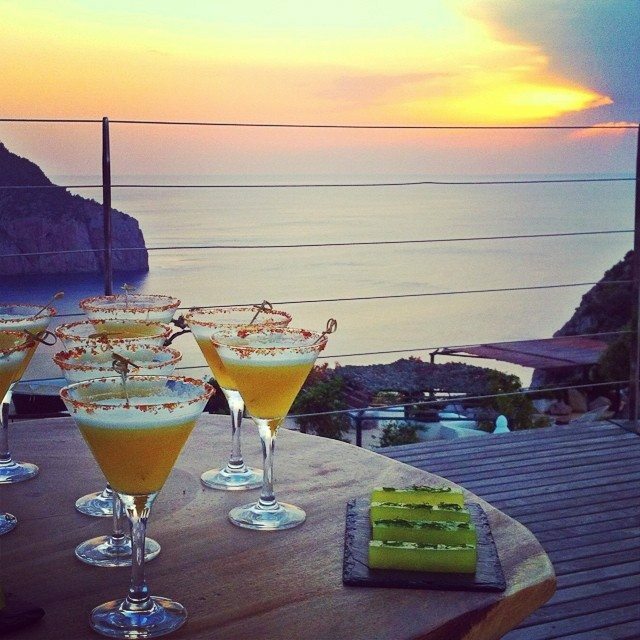 TIP » Watch the sunset from the roof deck when enjoying a good glass of champagne or a cocktail. It’s definitely worth visiting, but I prefer to dive into the pool, have a cocktail on the beautiful terrace with the perfect view rather then enjoy the spa for 45 minutes. Unfortunately this is only possible when you are a Hotel guest. That saying, it was an amazing experience! So keep an eye on the rates to find the best prices for next season! For more inside tips about Ibiza, check my last post about Ibiza’s best beaches and my top 5 places to eat.